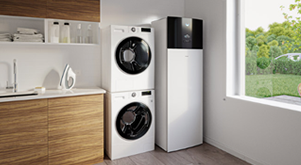 Providing full central heating and domestic hot water, a heat pump can increase your comfort while saving on energy costs and improving your carbon footprint. 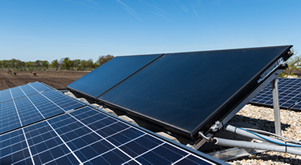 Enjoy free energy from the sun and take control of your electrical and hot water costs with a Solar PV or Solar Thermal System. Introducing Daikin's high efficiency gas condensing boiler for properties unsuitable for a heat pump system. The Natural Energy Company is one of the longest established renewable installation companies in Scotland and as such, has built up a reputation for high quality heat pump and solar installations which save customers on their fuel costs and CO2 emissions. As a design and engineering based company, we can offer our customers a complete Renewables package from initial enquiry, through design and installation, and aftercare maintenance with our own engineers. We do not subcontract any renewable installation work to outside agencies with all work being undertaken by our own engineers. This provides peace of mind to our customers and ensures a high standard of installation. 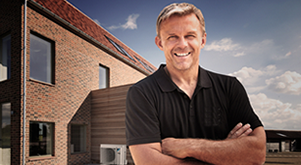 As Daikin Service Partners, all our heat pump installations are undertaken with our excellent Daikin Altherma trained and time served FGas engineers who can offer a minimum of 3 years aftercare maintenance. a range of Daikin heat pumps on display and in operation. The Natural Energy Company is the trading name of The Natural Energy Company (Scotland) Limited.